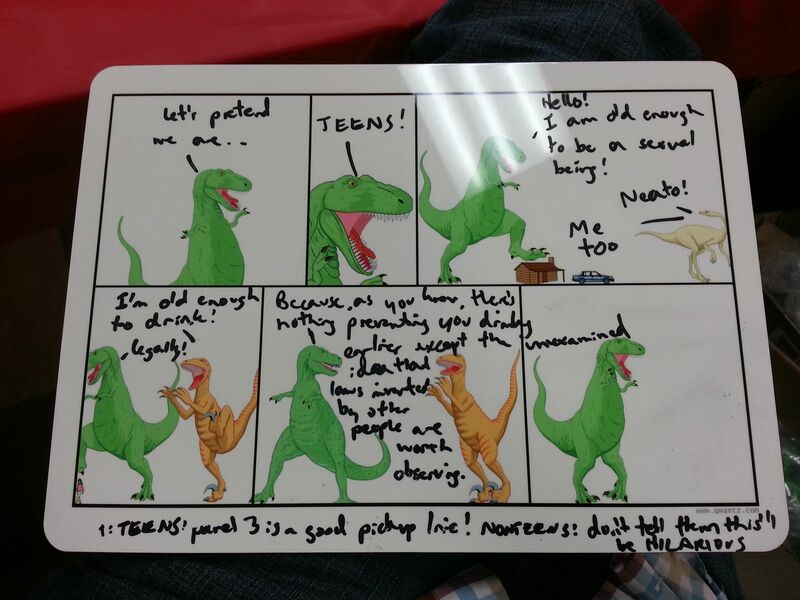 The haps: Today's comic was written on one of my whiteboards at Webcomics Rampage! WHICH WAS A LOT OF FUN, INCIDENTALLY. The show, not writing on the whiteboard! Though that too was fun! Anyway it was ALL a great time!